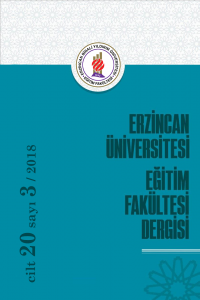 Erzincan University Journal of Education Faculty is a triannual refereed journal which publishes articles mainly from all fields of education. The journal accepts articles from both national and international researchers. Publication language of the journal is English and Turkish. Turkish articles should include both an English abstract and extend summary. iThenticate is a plagiarism screening service that verifies the originality of written work. iThenticate checks submissions against millions of published, scholarly works, and billions of web content. Before being accepted for publication, manuscripts are all screened for plagiarism usingbr /> iThenticate.